For people looking for trucking and warehousing services in Naperville, look no further than JRC. JRC has developed a strong reputation for providing assistance to people in need of logistics and warehousing solutions. We have an unparalleled capacity to meet a wide variety of needs. Because of our capabilities, we can provide exceptional service that has been the backbone of our business from day one. For people who need unique storage capacities or a fleet of vehicles to traverse the greater Chicago area, JRC can provide solutions for all of these requirements. Finally, we also work hard to remain up to date on the latest technological advances in the market. This allows us to provide an efficient array of tools at the disposal of our customers. Customers can even track their inventory remotely in real-time. Most business owners are sensitive to their overhead expenses and their warehousing costs are no different. Customers with JRC can relax because JRC provides a multitude of payment plans that clients can choose from. For people who prefer to pay on a monthly basis and are looking for Naperville short-term warehousing options, they can pay with this method. Other people might prefer to pay per square foot and we offer payment plans in this manner as well. Maybe people would like a blend of these two plans, which we offer as well. JRC always puts the needs of their long term warehousing customers ahead of their own and we will work hard to ensure that every customer remains under budget. Just to demonstrate our commitment to customer service, we know that moving in and moving out is a headache. We provide the tools to do so safely and larger loads will even receive our dedicated labor team. Our labor team even has the capacity to handle specialty items, oversized items, fragile items, and antique goods. Regardless of whether you need short- or long-term warehousing, we have everything you need to make your warehousing operations entirely efficient, giving you the best service available. You won’t need to worry about any aspect of your operations setting you back, and our professional labor team can provide further assistance when needed. With the help of our services, you’ll be able to keep your customers satisfied at all times, with all of the resources necessary to optimize your operations. The wireless JRC management allows customers to view their items and follow them in real-time. For people who had rather check on their items in person, the warehouse is located in downtown Chicago with easy access. We even offer cross-docking services in Naperville, reporting services, and LIFO or FIFO pallet tracking. At JRC, we have a variety of vehicles that give clients an efficient trucking service in Naperville. 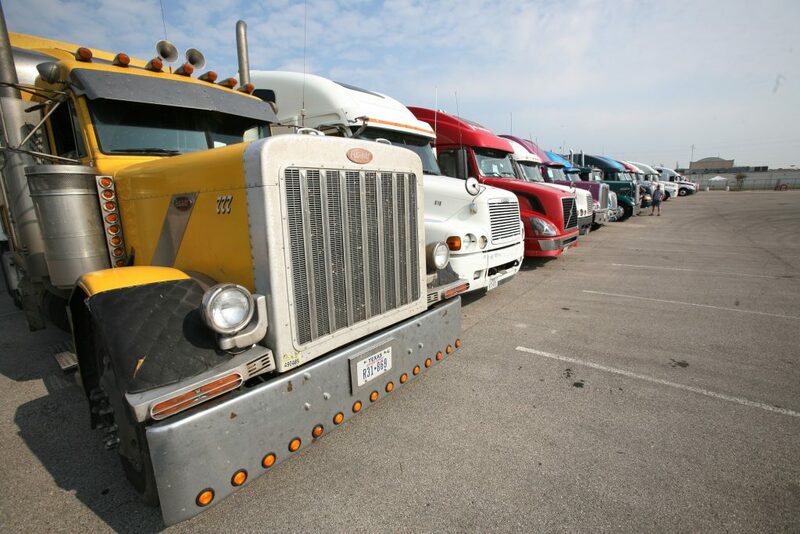 We have a dedicated private trucking fleet in Naperville that features full-service trucks. Rush orders are not a problem as JRC can handle FTL and LTL deliveries. We also offer seasonal options in Naperville with short-haul trucking options along with cross-docking capabilities for those clients who desire it. We always keep up with the latest technology and advanced logistics in Naperville. This helps ensure that every order arrives on time. Customers can follow their products from start to finish in real-time. The warehouse is located near the port of Chicago, giving access to the water and the rail system. Customers can enjoy devanning and delivery services on both domestic and international orders. Call today to learn about trucking and managed logistics services in Naperville. It can take any business to the next level.